Whether you’re a shopaholic or prefer adding to your wardrobe only occasionally, there’s no denying that online shopping has made feeding your fashion habit super easy. 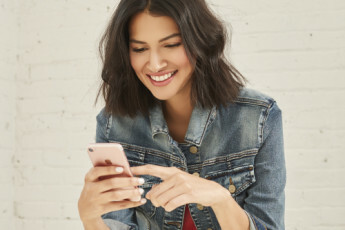 There’s the convenience of ordering from your couch (in your PJs if you’d like), the time you save by not having to walk or drive from store to store, and the sheer number of brands and styles you can explore with just the click of a button. But there is one major disadvantage: not being able to try something on and know it will fit you until it arrives in the mail. After all, what might be a medium in one store could be a small in another and even a large in yet another. 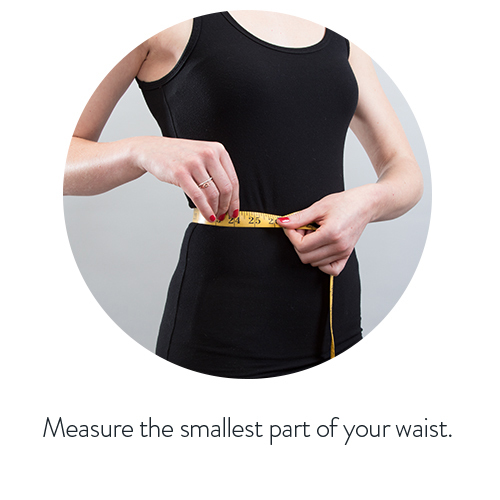 Fortunately for you, the fix is pretty simple: knowing your measurements to figure out your size in everything from dresses and jackets to fitness leggings and even intimates. That’s why we’ve put together an easy guide to discovering all your important measurements, including bust, cup size, waist, hips, and inseam. Just follow the directions below, then check out our size chart to help you figure out the perfect size for you (which comes in handy when you’re ordering one of our Style or Fitness Edits). 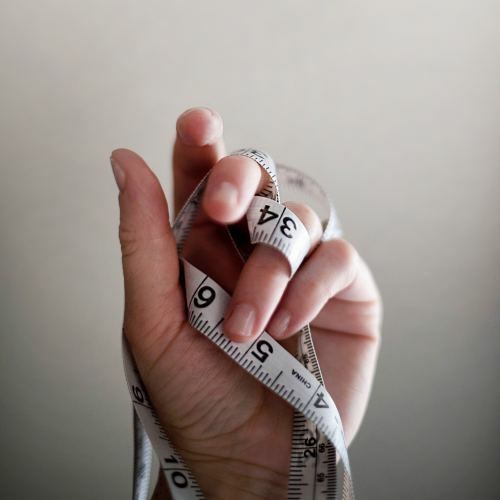 A measuring tape is easiest to handle, but you can also use an old-fashioned ruler and flexible string. You’ll also want to grab a friend or your partner for a little help (it will only take a couple of minutes to get all your measurements, and you can offer to return the favor afterward). Stand with arms relaxed at your sides, then use the tape to measure around the fullest part of your bust. Go braless or wear an unpadded bra to get the best measurement, and make sure the tape sits snugly against your bust (but not so tight that you flatten or change the shape of your breasts). (Heads up: this is a two-step process). Going braless or wearing an unpadded bra, measure around the bottom of your breasts beneath the bust, being sure to keep the tape snug and level from back to front. If the number is even, that’s your band size. If the number is odd, round up to the nearest even number to get your band size. Next, subtract your band measurement from the bust measurement you found above. Each inch of difference between those two numbers is a cup size (i.e. if the difference is 2 inches, you’re a B cup; if it’s 4 inches, you’re a D cup). And if you haven’t already guessed, figuring out your bra size is as simple as combining the number of your bust measurement (34, for example) with your cup size. 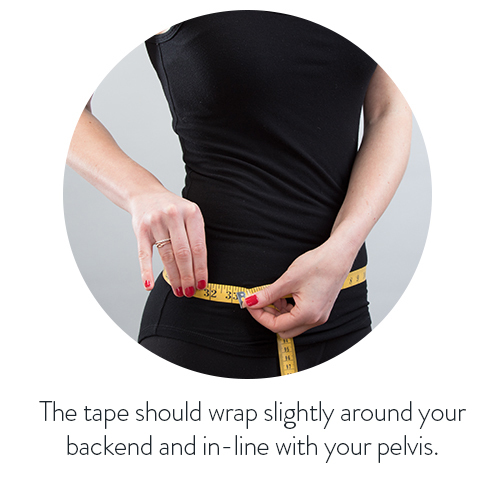 Keeping your arms and body relaxed, slip the measuring tape around the smallest part of your waist. Not sure where that is? Try bending to the side, noting the point at which your body folds. Find and measure the widest part of your hips, noting that it can be at a different spot for every body shape (yours might be above your hip bones, while your BFFs might be below). Slip into a pair of your best-fitting pants or jeans, then use a measuring tape to find the distance from your crotch to the hem on the pant, going down the inside of your leg. Don’t forget: The inseam will vary based on the type of pant you’re wearing (i.e. ankle pants will have a different inseam than floor-sweeping flared jeans). Check out our super-detailed size chart (ranging in sizes from XS to 3X) to figure out which size is best suited to your measurement—it works for everything from shirt, dress, and jacket sizing to fitness legging, and sports bra sizing. 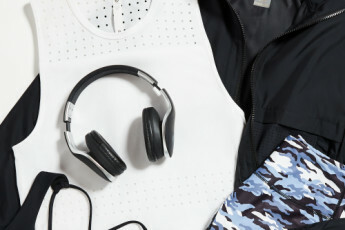 Once you’ve determined your measurements, all that’s left to do is order one our Style or Fitness Edits and let your stylist know your sizes when filling out your personalized quiz. Live a life you love. Look good doing it.